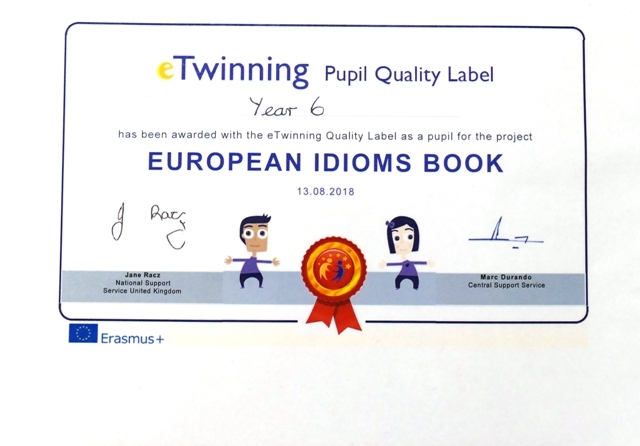 Congratulations again for being an example for all the other schools: we count on your dedication and commitment to promote eTwinning and its values, which are represented by the eTwinning Schools' mission which you can download here: https://www.etwinning.net/files/etwinningschool/etwinning_school_mission.pdf. 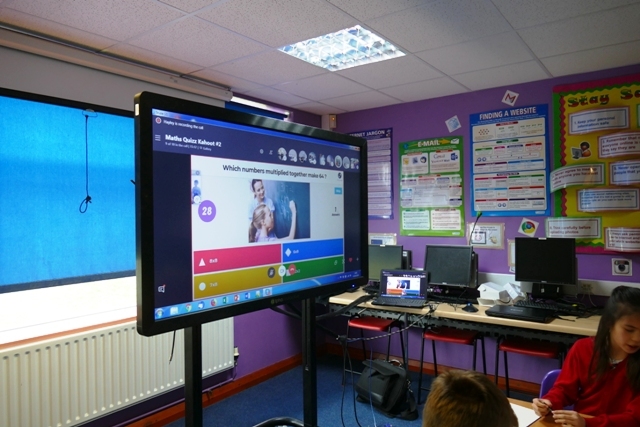 For UK Schools it is overseen by the British Council. 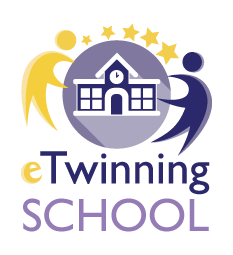 Once schools and their staff are registered with eTwinning they are able to set up and take part in shared projects. 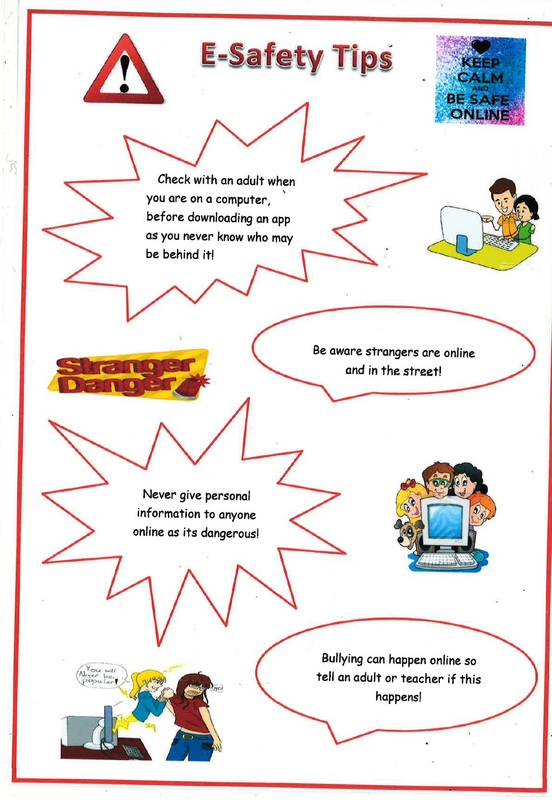 These areas of the eTwinning site are only available to members with an authorised login. 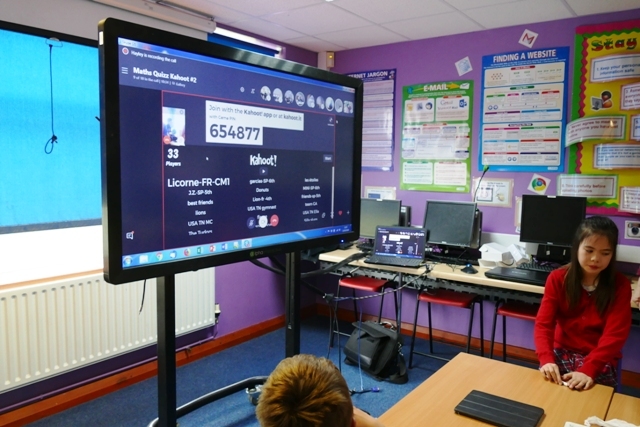 Schools can create 'Projects' and 'Events' and invite other schools to take part. 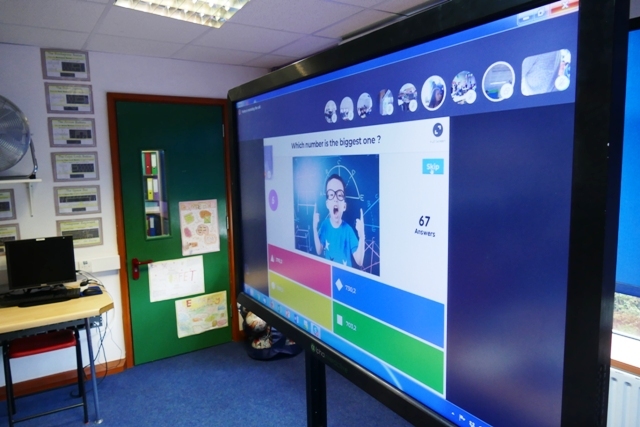 Wanborough Primary School has used eTwinning for our 'Guess Who' exchanges each year with Ecole du lac in St. Cyr. 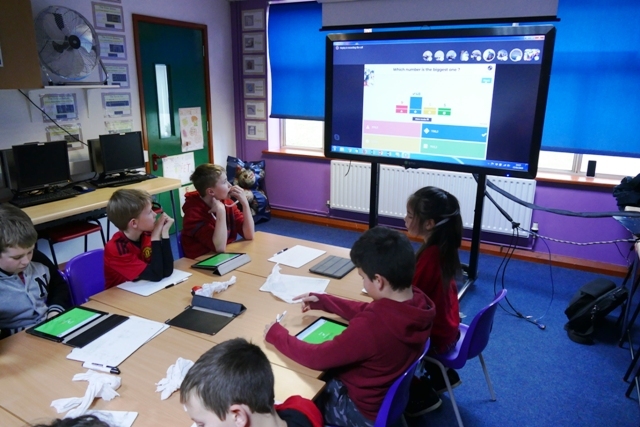 We have also taken part in a Maths Challenge (see below) and a project exploring idioms in different languages. 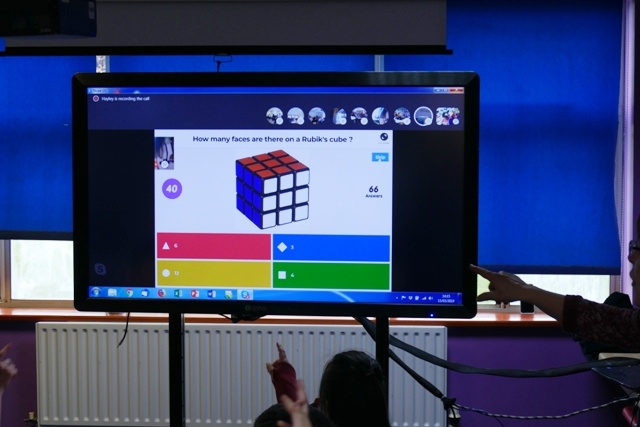 This involved a number of schools in the Poitiers area of France. 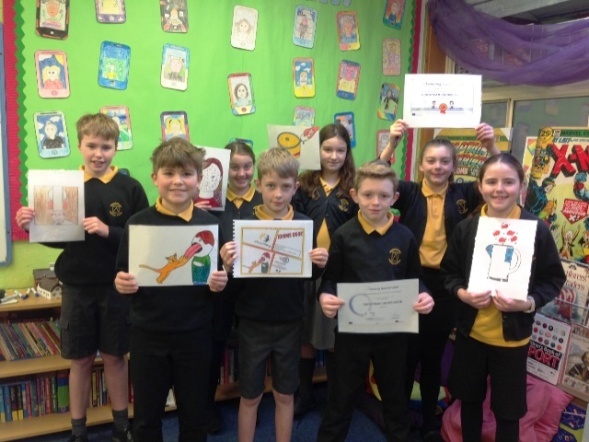 For the Idioms project, Year 6 created pictures of English idioms. 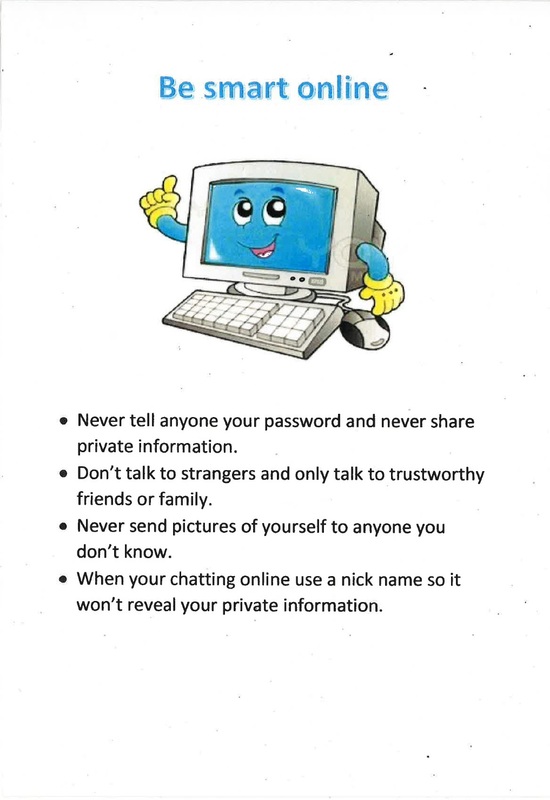 We shared these in the eTwinning website with schools across Europe. 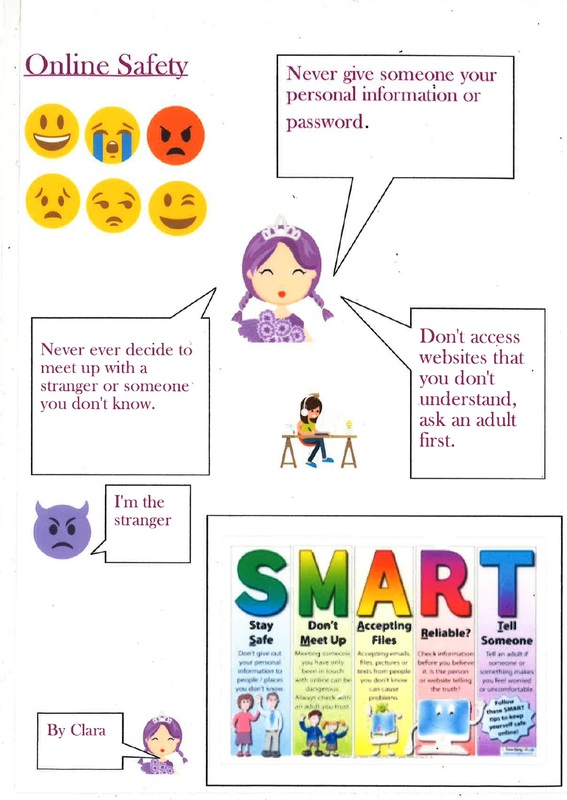 We then compared idioms and their meanings in various languages. 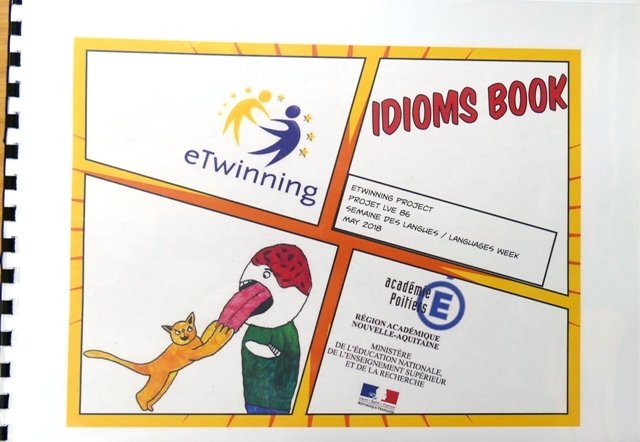 The idioms were compiled to create the eTwinning Idioms Book. 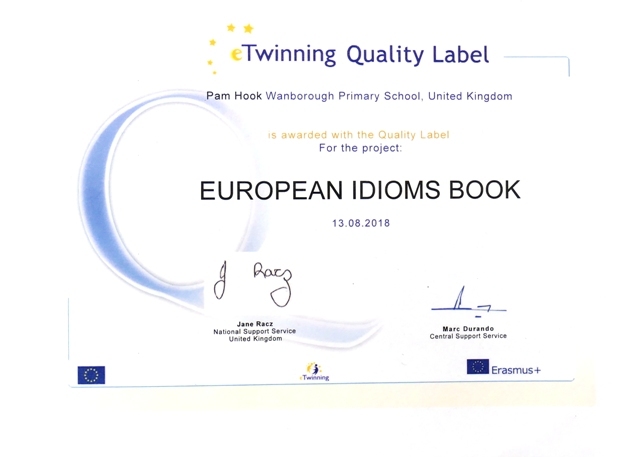 We are proud to announce Wanborough School gained an eTwinning quality label for this project. 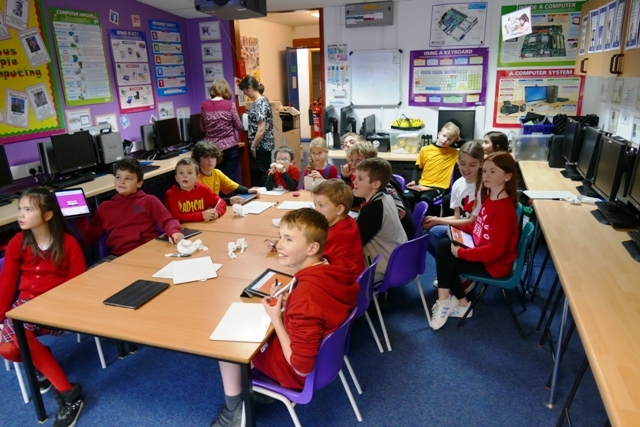 Well done Year 6 for all your hard work. 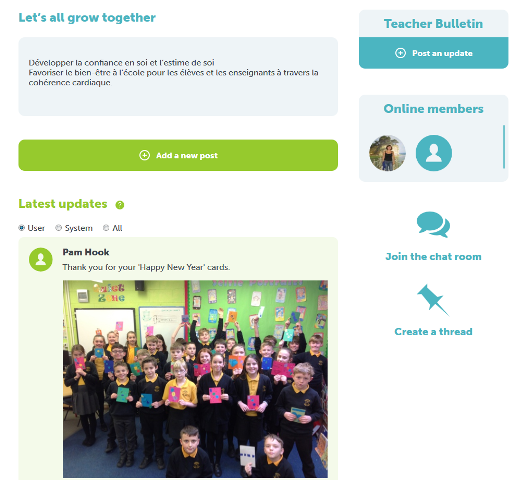 In 2018-19 are are once again part of 'Guess Who' and our Erasmus Plus funded project 'Let's all GROW Together' is also using the eTwinning platform. 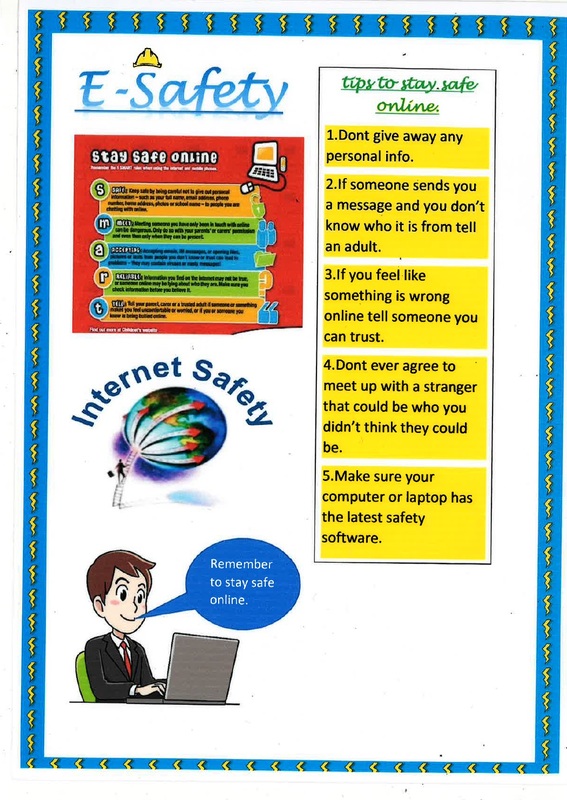 We designed e-Safety posters for a 'Safer Internet Day' event in February. 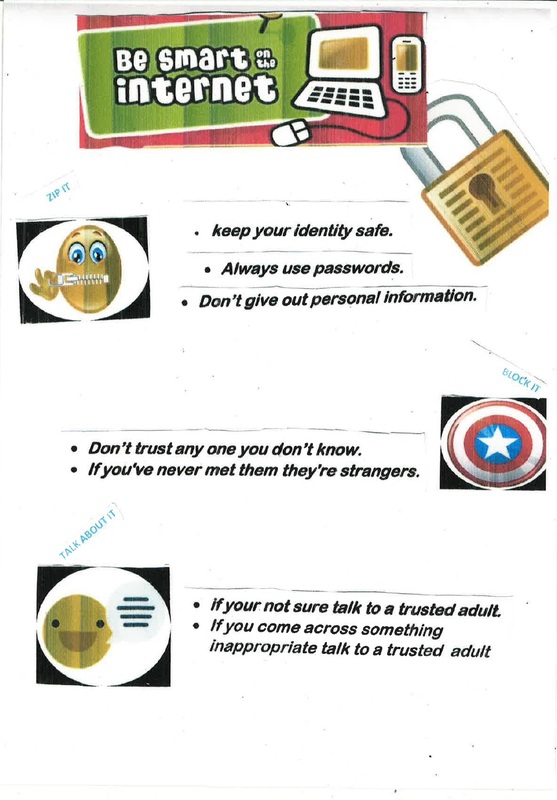 This event was led by a Greek school. 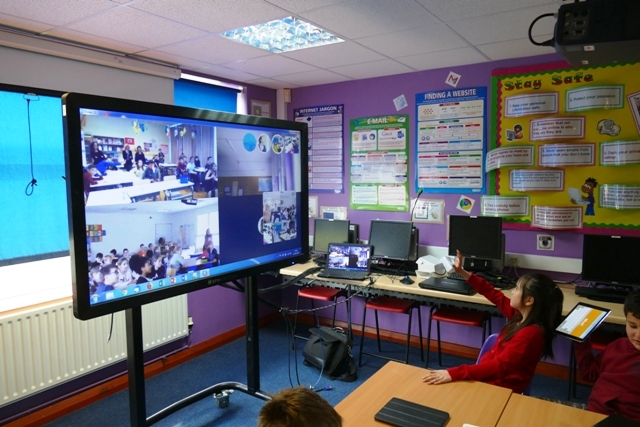 On Friday 15th March a group of children took part in a live link up with schools in France and USA. 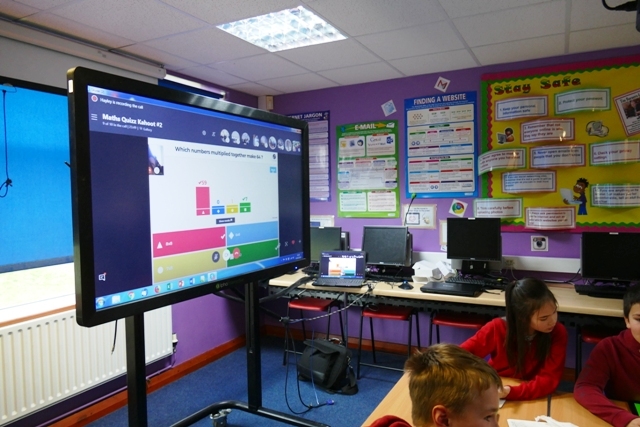 We took part in a maths quiz using the Kahoot platform. 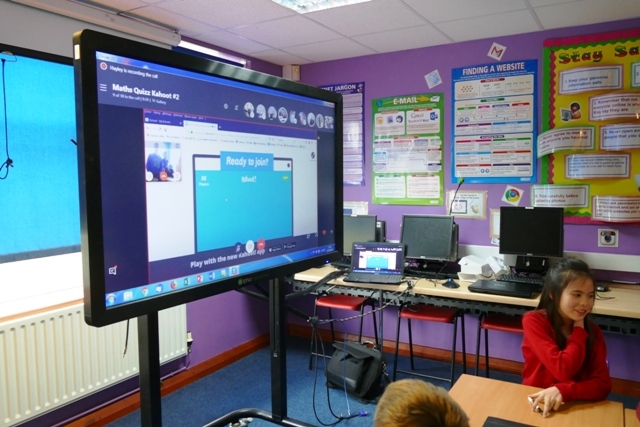 It was very exciting to see all the different classes on the Skype feed. Despite a few technical glitches, we had a good time and were on target for a good result when the feed crashed! 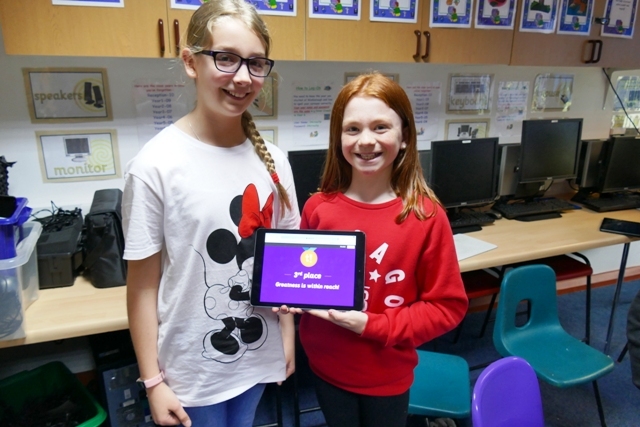 Afterwards, within our group, we played a French language quiz from Kahoot, it's a great way to brush up our vocabulary and grammar.